I’m feeling a little nervous writing this and don’t really know where to be begin… so I guess I’ll start at the beginning. I downloaded Instagram back in December 2012 and quickly became addicted to taking pictures, using its fancy filters and sharing them in my own little space. I was very much a boho-loving kinda gal back then with kimonos, body chain necklaces and all the other accessories I could load on. I then started my blog almost a year later in November 2013 as an extension of Instagram to share with my followers where different things were from. I cringe a little when I look back at my oldest posts but it also makes me feel super proud of where my blog is now and how far I’ve come not only in my writing but photography and editing skills too (well I’d like to think so anyway). In 2014 that’s when I feel my Instagram began to really take off; I had just given birth to Hugo and we all know how Instagram loves babies! I became part of the Instagram motherhood community and it was amazing, it helped me feel less isolated on days when the weather was too bad to venture out and helped keep me sane talking to other like-minded tired mums. I guess from there my IG just continued to grow slowly and steadily. I remember when I had about 8k followers there was a huge account that reposted my picture three times and because of that I think I must have gained an additional 1500 followers, I couldn’t believe it as things like that never happen to me. I remember hitting that first 10k soon after and again it was a slow and steady process from there. So the major moment I want to talk to you about is when I fell pregnant with Remy in 2016. 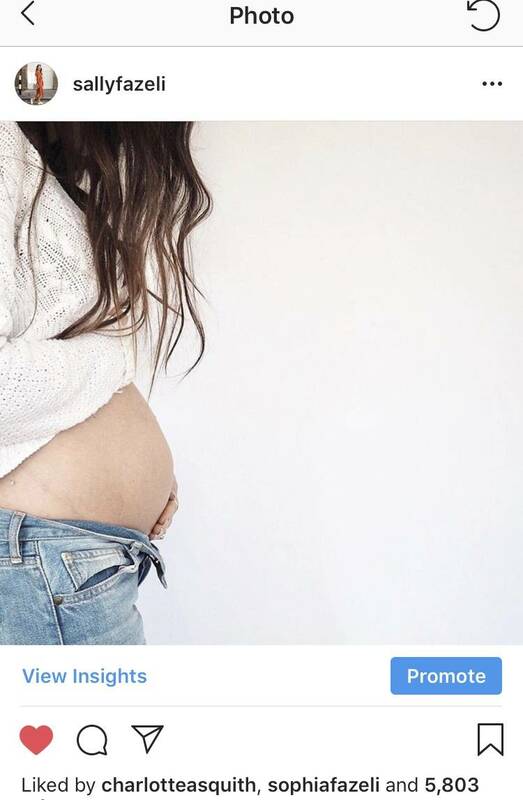 I was on about 37k followers at the time and I posted one of my first bump pictures and it must have somehow made the Explore page on Instagram as the likes sky rocketed to an eventual 5.8k likes. My average photo at the time ranged from anything between 600 – 1,200 so this amount of likes was crazy for me! My followers increased at the same time and I thought it was just down to the photo being on the Explore page. The same thing seemed to happen to some of my other bump photos but what I didn’t realise until looking into it more was that the followers didn’t seem like ‘genuine’ followers. For example, there were numerous profiles with strange profile pics or no profile pic at all, lots that looked they were from Asia or with bios in foreign languages, and often when I’d tap into the accounts I’d see they’re following thousands of accounts and posting pictures that didn’t look like their own and in general just looked spammy. As soon as I realised what was going on I immediately started to take action. I firstly reported my problem to Instagram on numerous occasions but we all know that this is pretty futile as they never respond – even though I continued to report it on several different occasions. I contacted gurus who are clued-up on the ins and outs of Instagram but their feedback didn’t really help. I started blocking as many of these accounts as I could on a daily basis. I’m not kidding when I say for over a whole year I blocked over 100 accounts A DAY! I changed my username to see if the spammy followers would stop as they would no longer ‘find’ me but it didn’t work. I changed my password, I went private, I switched from personal to business account and back again, I stopped using hashtags and went back and deleted old hashtags in case they were latching onto an old hashtag like a virus, I deleted the app and reinstalled it – and so on. Nothing worked! Even when I went private for a couple of weeks they were still there in my requests so I still had to spend time blocking them. Nothing worked. I felt like I was being punished and I had no idea why. It finally stopped at the end of January this year so for nearly two years I had to deal with the constant drain of sifting through my followers to block anyone who looked spammy. I nearly lost the will and wanted to delete my account on several occasions. On one side it was such a positive space for me but the constant cleansing of my account was a real time-consuming negative. On a side note, I had someone message me on my home account @sallyfazelihome saying that she can’t find my main account anywhere and if I could help and when I looked into it I had blocked her by mistake thinking she was spam – oops – so if you’re reading this and can’t see my account too then please let me know and I shall search and unblock you! It’s so hard when people don’t have profile pics because the majority of those profiles for me have been spam accounts. Sorry in advance if I have mistakingly done this to you. The reason I’m telling you all this is because I want to be totally transparent and for anyone else this may have happened to, it would be amazing to know that I haven’t been on my own. I’m sure some people will have noticed my followers dropping and it’s because I am on an official rampage to go through my followers once and for all and block anyone who looks like they’re spam, bots, strange or who hasn’t been active on it for years. So far I have blocked about 25,000 people (no joke) and I’m still going but hopefully not for much longer. 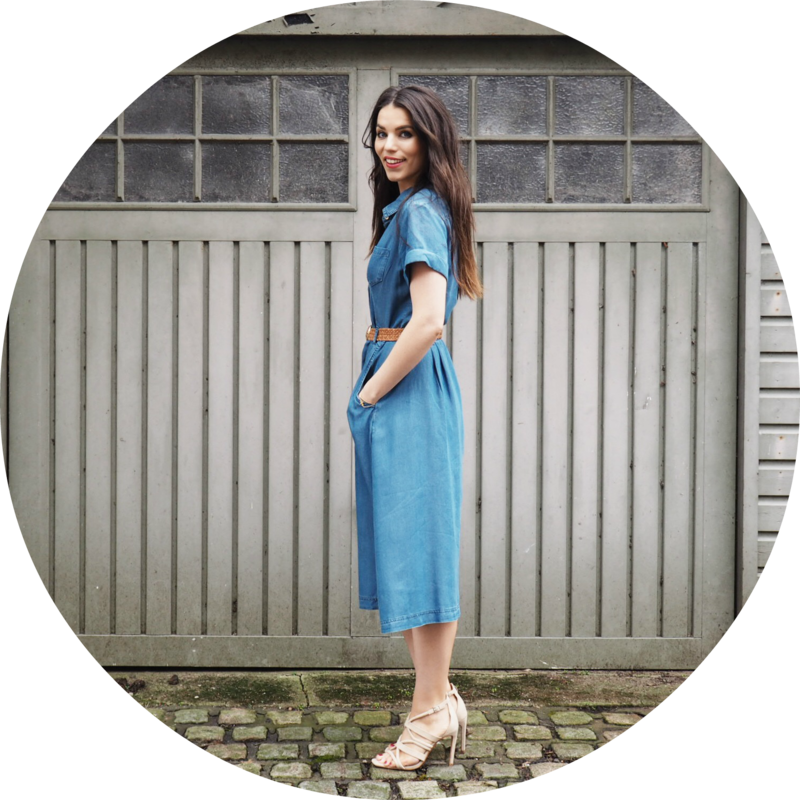 I have sifted through starting from when I first downloaded Instagram – yep, going back six years – and I have a final 9,000 to sift through until I’ve gone through everyone on my followers list. It’s taken hours… days… maybe weeks. I actually dread to think how much time I’ve spent doing this but I just hope it’s not all in vain. I could easily unblock all these people and I’d suddenly shoot up in followers but I hope you realise my sincerity in all this and why I want to bring the happy back to my Instagram. Can you imagine for almost two years having to block that many people and the incessant frustration of such a chore? When all I wanted to do was not be on my phone but feeling like I had this ‘homework’ to do or else I’d have even more to get through the next day. It put me in such a negative space on a daily basis but I kept thinking, it’ll be positive in the long run. FYI I found an app called ‘unfollow’ that helped me to see clearly who I was blocking and then select a few accounts at a time and block so many of them within the limits of Instagram. It was the only way I could do this without it taking up any more of my time. If you’re thinking of looking into this just make sure your two-factor authentication is on too and use wisely as I know that Instagram don’t tend to like outside apps but sometimes there is no other way. So why have I being doing this? I think it’s fair to say that many people wouldn’t care if they were attracting these sorts of followers because they just see their numbers go up – in fact, many people pay for followers purely to see their numbers surge – but for me it’s not about numbers… it’s about the quality of those numbers. I want to get to know my followers and it’s no use to me having ghost followers who never engage. And what’s more frustrating is to have followers who do want to engage but never see my photos because of the Instagram algorithm. I could write a whole other blog post about the algorithm if you’re interested… ugh, that’s another thing altogether! Essentially, I put so much time and effort into my photos, writing the caption and trying to engage and have conversation with people as much as I can but it really is deflating when I see IG is hiding my pictures from the majority of my followers. If you look at any of my photos you’ll be able to tell what my reach is (the amount of people who see my pictures) because I always generally get 10% of people liking my picture to who sees it. For example if I only get 600 likes that’s because Instagram have only shown my picture to around 6,000 people. The same if I happen to get 2,000 likes IG has shown it to roughly 20,000 people. From talking to others, when I look at it from this perspective I do have good engagement if I compare it to the amount that see my work but I don’t if you compare it to the amount of followers I have. Does that make sense? For the past two years the only thing that has got me through this gruelling time are the people who have continually showed their support, with a little tap to like my photo, leaving a little message, engaging on my stories, sharing my feed and just in general being a huge positive support! I am so incredibly thankful that there are people who are interested in what I’m doing and the photos and words I put out there. I feel very vulnerable opening up about all this as I know that some may be cynical or assume I have bought followers but I swear this is not the case and that’s something I am strongly against. My husband and close friends and family can vouch for the hours I put in daily to get rid of these spammy followers that even to this day I have no idea where they came from. I also feel incredibly lucky that there are amazing brands who want to work with me. I want to share with you another blog post about this and how it has become my full-time job too. I feel so blessed and lucky that I get to do a job I love everyday even though I sure put in the hours! There are so many other things I want to bring to the table, to open up about and share with you so keep watching this space! This is my first step of opening up about what’s been going on for me behind the scenes. Fingers crossed as I sift through the last few thousand of my followers I’m doing everything I can to make sure that my followers are actual real people. I’m hoping that because of this I will hopefully pop up in more of my friends’ feeds. In your feed! On the same token, thank you for still following along on my journey, for every like, comment and action you’ve made to help show your support! It means the world and I appreciate it so much! Now, here’s to bringing the happy back and to focussing my energy on creating positive content and things that make me smile! This blog post has ended up being way longer than I had planned but the situation is kinda hard to explain in a few words so I hope I’ve explained everything clearly. If you have any questions please do leave them below or feel free to message me privately and I hope I can help. Or if you have any more insight into the problem I’ve faced that would be amazing!